This is a medium difficulty pattern with a few hard spots. Take your time and don't let all the thin lines stop you from trying this pattern. You can do it! Believe it!!! Naruto Uzumaki (うずまき ナルト Uzumaki Naruto?) 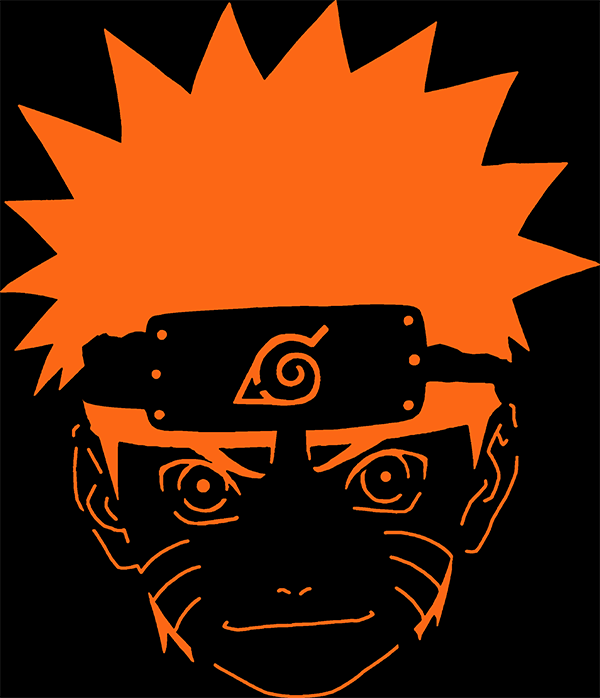 is a fictional character in the anime and manga franchise Naruto, created by Masashi Kishimoto. The central protagonist and title character of the series, he is a teenage ninja from the fictional village of Konohagakure. The villagers ostracize Naruto because of the Nine-Tailed Demon Fox—a malevolent creature that attacked Konohagakure—sealed in his body. To be recognized, he aspires to become the village's leader, the Hokage. His cheerful and boisterous personality lets him befriend other Konohagakure ninja, as well as ninja from other villages. Naruto appears in the series' films and in other media related to the franchise, including video games and original video animations. When creating Naruto in the initial part of the series, Kishimoto kept the character "simple and stupid", while giving him many attributes of an ideal hero. Kishimoto added a harsh past to give him a side of darkness. Many times he has revised Naruto's image, providing the character with different clothes to appeal to Western audiences and make him easier to illustrate. Kishimoto changed his design for Part II of the storyline, which starts two-and-a-half years after Part I. Naruto is voiced by Junko Takeuchi in the original animated series and Maile Flanagan in the English adaptations.